The balance of $230 is paid to the accommodation provider. This holiday voucher is not valid during long weekends and Christmas holidays. Additional persons welcome, tariff applies $20, accommodation only. 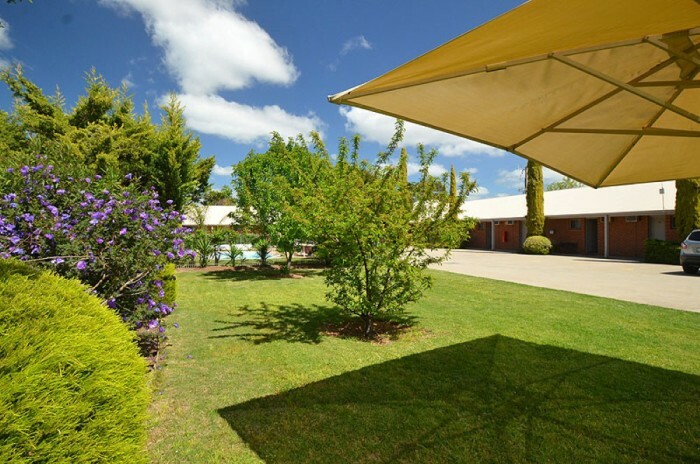 Enjoy this lovely new hotel right in the heart of town and close to everything Benalla has to offer! Refurbished spacious rooms with queen beds, landscaped gardens and swimming pool for you to enjoy. Take in the historic buildings in Benalla town centre, with cafes restaurants and pubs. Swimming and boating on Lake Benalla plus the many walking tracks, parklands and the famous Benalla rose gardens.